With so many industry juggernauts jumping on the self-driving car bandwagon, it’s little surprise to learn that Amazon is joining the party. But rather than building its own autonomous vehicles, the retail giant is examining the best ways of using the technology to assist with deliveries. 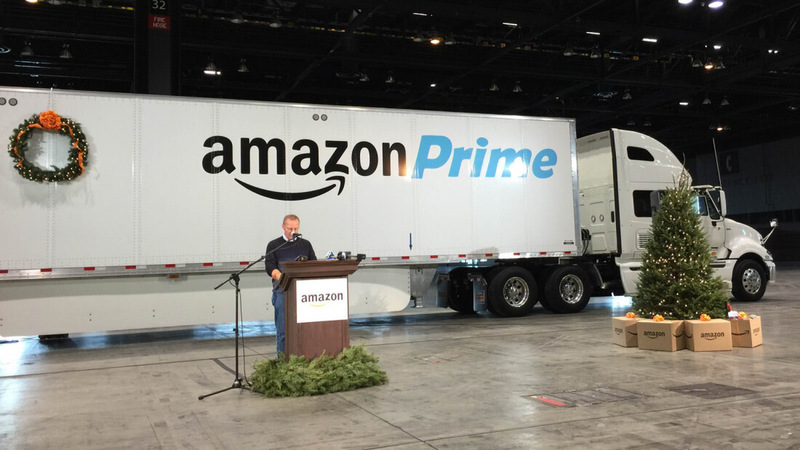 The Wall Street Journal reports that Amazon quietly set up a team of around 12 people about a year ago to find out how autonomous trucks, forklifts, drones, and other self-driving tech can be leveraged to increase the speed of its service. Perhaps with an eye on Apple’s struggling autonomous car endeavors, it appears Amazon has decided that creating its own vehicle isn’t very efficient, though nothing is set in stone. The company has been slowly moving away from using major couriers for some time now, with signs that it could eventually start its own delivery service to compete with the likes of UPS and FedEx. Autonomous technology may play a big part in these in these plans. Amazon has been testing its Prime Air drone delivery service in the UK since last year – a way of avoiding the FAA’s stricter regulations. Having a fleet of air- and ground-based drones able to make short-range deliveries without requiring human interaction would be a huge plus for the company. As is always the case with automation, there are concerns that Amazon could ultimately replace a huge portion of its human work force with this technology. More robots are making their way into the firm’s factories and warehouses - its annual Picking Challenge winners are becoming increasingly advanced. Add self-driving vans, drones, and other autonomous machines into the mix, and it’s hard to imagine that every replaced employee will be assigned a different job; many are likely to be laid off.